Like fellow Tall Blacks Mika Vukona and Corey Webster, Tom Abercrombie entered the 2014-15 NBL campaign with a shortened pre season preparation and niggling injuries from a long international campaign. One of those injuries forced Abercrombie to miss the opening game of the season in Perth. He missed another couple of games mid season but thereafter he was extremely consistent, averaging 11.2 points, 4.3 rebounds, 1.0 assists and 1.0 blocks per game. Always a defensive linchpin with the ability to defend any opponent from the one to four spot, the swingman’s perimeter shooting was of the highest quality throughout the campaign. This highly proficient shooting was produced when most needed by his team – Grand Final Game 2 when he converted 7 of 12 shots from the field. Importantly he scored 8 points in the final quarter that included a long three with 2:11 remaining, the basket that provided the impetus the team needed to overhaul the Cairns Taipans. Abercrombie’s experience shone through in the play-offs where his shot blocking, defensive rebounding and lock down D complimented his sweet shooting. 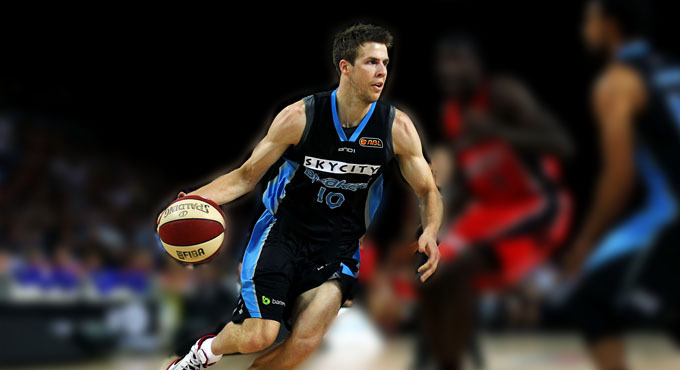 Abercrombie boasted the second highest three point shooting percentage (47%) in the NBL, only Melbourne centre Daniel Kickert (51%) shot the three ball at a higher clip. Perhaps the only minor surprise was that the small forward didn’t put up more than the 3.6 shots per game, from behind the arc, that he attempted. Abercrombie may not have quite done enough to carry off the MVP title this year but with four NBL Championship rings safely tucked away he can head off to his upcoming wedding a contented man knowing he played a major roll in bringing more glory to Atlas Place.